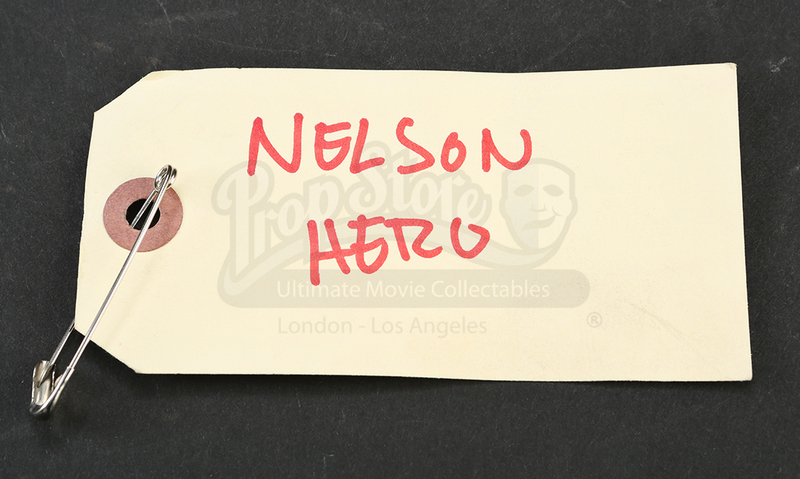 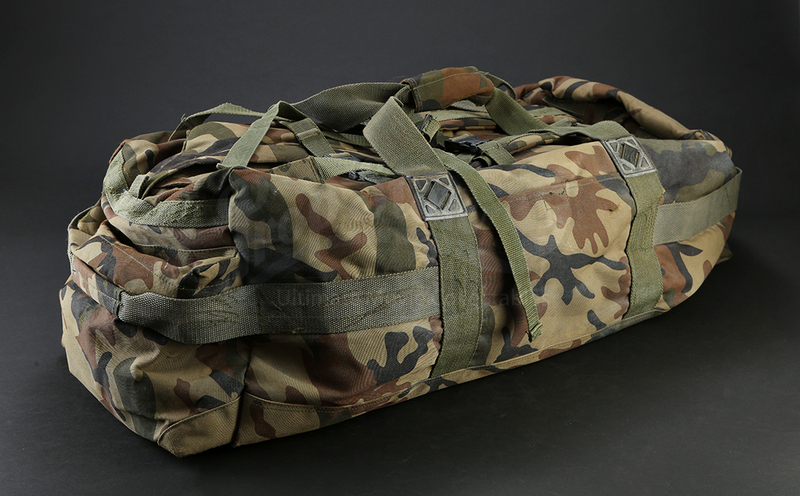 Mitch Nelson's (Chris Hemsworth) hero duffel bag from the 2018 war drama 12 Strong. 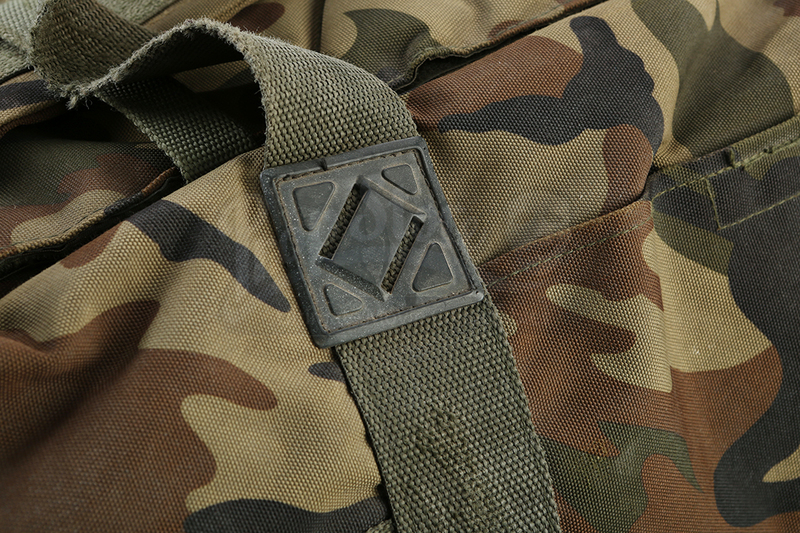 Based on a true story, the film follows the first U.S. Special Forces team deployed to Afghanistan following the attacks on 9/11. Mitch wears his duffel as a backpack as he and his team arrive at their Uzbekistan base. 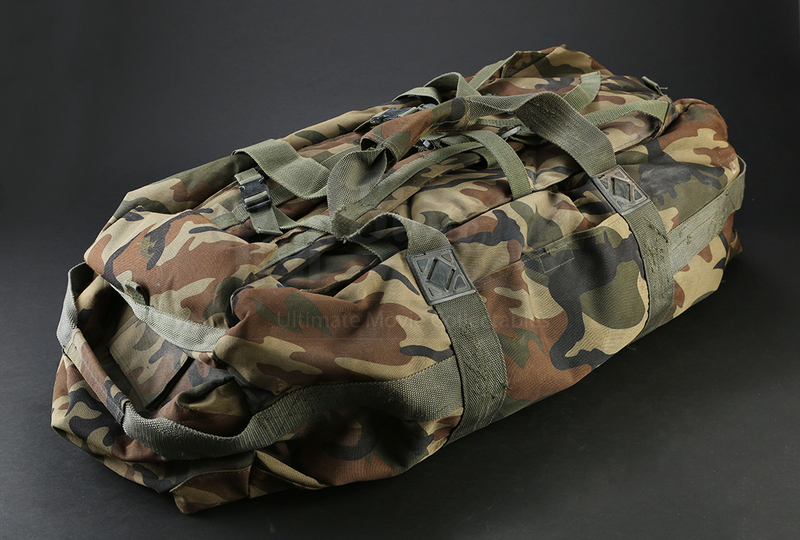 Made of nylon, the camouflage duffel bag has two carrying straps and two backpack straps. 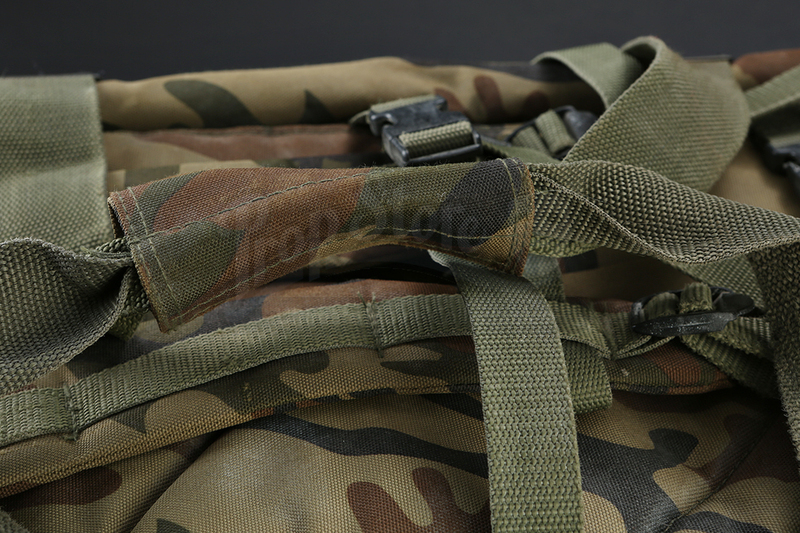 Along with side pockets, the bag includes one long zip-up opening and a number of snap closures. 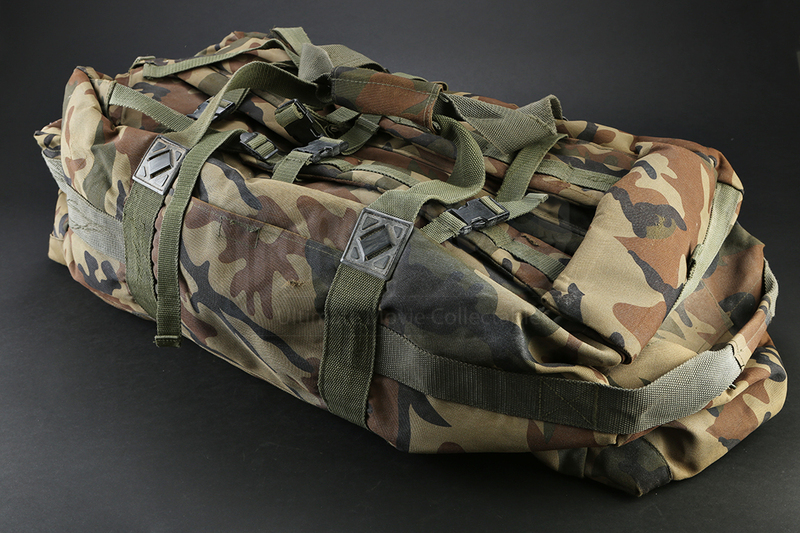 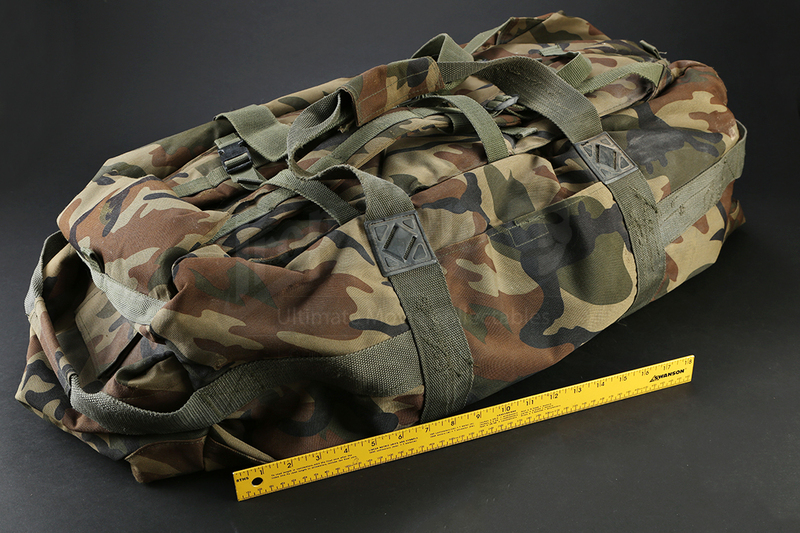 The duffel bag shows wear from production use but remains in overall good condition.